A regular customer came into the Miner’s Den Sydney store and brought in an enormous 63 KILOGRAM specimen of quartz the other day. He’d found it with his Minelab GPX 5000 metal detector very close (within 25 feet) of his last major find. He brought in the quartz because I’d asked him to show me the next chunk before he crushed it to extract any gold. We photographed the quartz and found that it did indeed have a strong metal content inside. 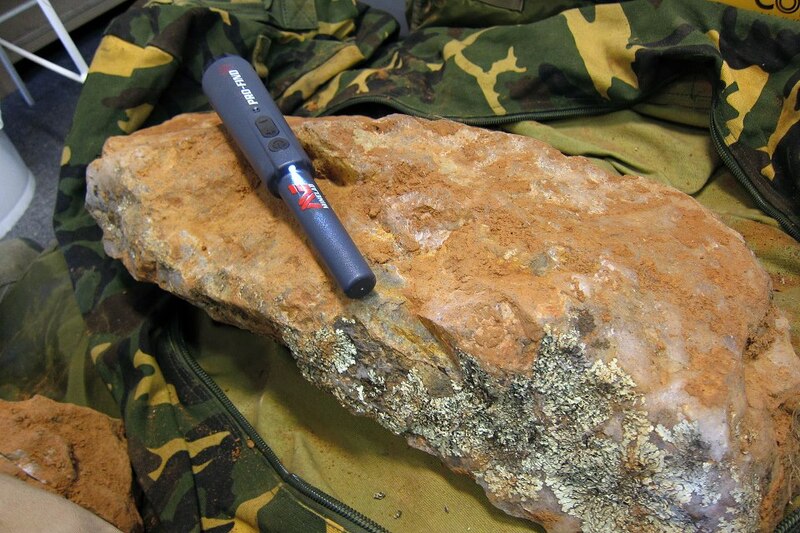 This specimen triggered a strong response from the Minelab GPX 5000 metal detector and even the store’s Minelab Pro-Find 25 Pin Pointer before crushing. 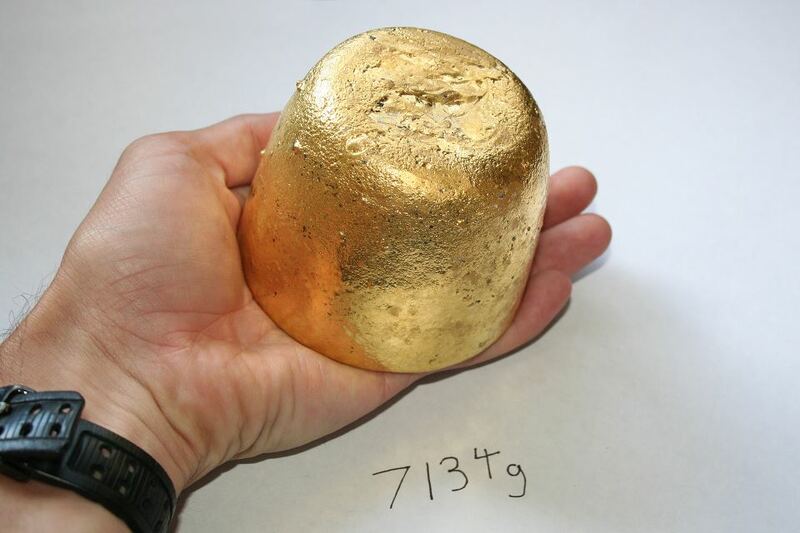 The ingot below is HALF of what came out of the specimen: 7,134 grams. The second ingot was almost the same weight. The large slab of quartz and a smaller one combined to produce just over 14 kg’s of fine gold. Worth in excess of over $700,000.00 at the time of sale. This is the second such specimen brought in by the same prospector within four months. Miners Den Sydney are part of Miners Den Australia’s Network Of Minelab Super Stores. We are premium authorised stockists for Minelab, Coiltek & Nugget Finder. Our team of certified Minelab metal detector experts are sure to be able to fit you out with the right equipment to suit your needs. Whether searching for that elusive Gold nugget, unearthing some serious historical Treasure or looking for an exciting and fun family Adventure, Miners Den Sydney and Minelab have got your needs covered.